Why is Brantley Gilbert crawling around in Alaska? 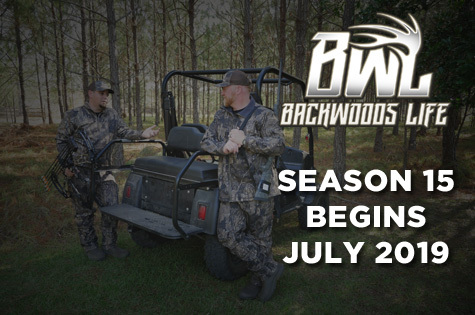 The new season of Backwoods Life kicks off July 3rd on Sportsman Channel! 14 years in the making! https://www.backwoodslife.com/wp-content/uploads/2018/06/Main-3.jpg 720 1280 backwoodslife https://www.backwoodslife.com/wp-content/uploads/2019/01/logo-backwoods-life-e1552596102586.png backwoodslife2018-06-28 10:38:382019-03-12 22:44:36VIDEO: Best Season Yet! Our buddy Brantley Gilbert has a caribou hunt in Alaska go sort of unexpected! Watch as it unfolds quick! Our good buddy Brantley Gilbert is in Alaska trying to tag his first moose! Talk about a beautiful place! Our Backwoods brother Brantley Gilbert gives us a lesson on naming deer while in the stand with Michael Lee.